James Chanos, Kynikos founder & president, was on CNBC a couple of times over the past three weeks discussing his worldview and, as a specialist in short selling, some ideas. Chanos, who has been negative on the prospects of China for several years, said there would be a credit event as a result of their debts growing at two to three times the rate of economic growth. 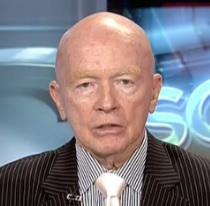 He didn’t believe the U. S. Treasury market, being a deep market, would be negatively impacted by a Chinese blowup. The countries most affected by a Chinese slowdown would include their trading partners in Asia (Japan, Korea) and the commodities exporters (Australia, Canada, and Brazil). “Whatever is happening in China, it’s worse than you think,” Chanos stated. “People are beginning to realize the Chinese government is not omnipotent and omniscient,” he added. He further discussed the implications of the Chinese devaluation of the Yuan and the impact of the current political regime as opposed to previous administrations (see videos below). Chanos said he continued to be short Hewlett-Packard (HPQ) since they were focused in businesses which are in secular decline and are experiencing double digit declines in revenue. Chanos added that he was long Apple (AAPL). 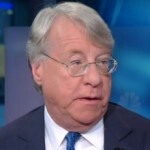 Chanos said he was short the Elon Musk company SolarCity (SCTY) which he compared to a subprime financing company which leases solar panels to residential customers. Chanos questioned the value of these panels in 20 years given the steady decline in costs to generate solar energy. He added that SCTY is burning through hundreds of millions of dollars every quarter, while being saddled with significant debt, and has negative EBITDA. Regarding another Elon Musk company, Tesla (TSLA), Chanos said they were being valued on 2025 projected earnings and cash flow, which may, or may not happen. He compared them to BMW, which has reportedly said it would shift its product line of vehicles to electric by 2025. Chanos expressed a negative viewpoint on the Liquified Natural Gas (LNG) market, which he compared to being, over the next five years, where iron ore and coal have been over the past five years. According to Chanos, capacity in the LNG market is currently 280 million metric tons per year, while for the past three years demand has been flat at 240 million metric tons. In the next few years capacity is forecasted to expand to 480 million metric tons per year. This will have negative implications for the two biggest players in the LNG market, Chevron (CVX) and Royal Dutch Shell (RDS-A), Chanos said. A new short position for Chanos is Cheniere Energy (LNG), which is a developer of LNG plants and a recent focus of investment for Carl Icahn, who is bullish on the space. Chanos characterized the LNG market as a “looming disasater” while the plants are immensely expensive, in the tens of millions of dollars to develop. Chanos said he was short Caterpillar (CAT) due to overvaluation relative to its peers and encountering headwinds in its markets. He likened CAT to Joy Global (JOY), the large maker of coal mining equipment, a previous short position he had closed. Regarding the overall U. S. market, Chanos said he had no idea where we go from here. He added that investors had become complacent since the market had gone up for several years. In March 2013, Chanos explained why he wouldn’t buy Herbalife (HLF) (link). Back in September 2011, Chanos discussed his bear thesis regarding China (link).